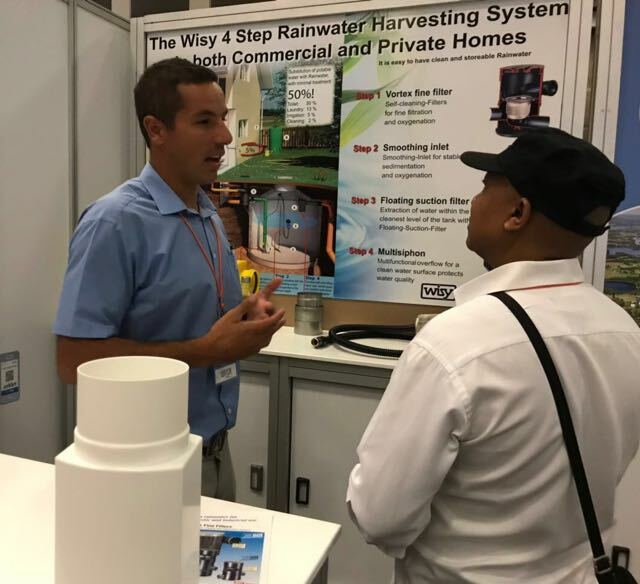 New developments in Durban require the installation of a soak-pit, soak-away or rainwater attenuation system in order to reduce localized flooding during periods of hard rainfall. 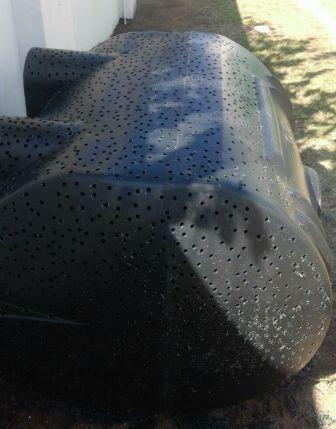 As an alternative rainwater harvesting tanks can be installed. This offsets the cost of installing a soak pit and allows the property to reduce their utility bill by harvesting rainwater. Home and business owners find it difficult to justify this expense in building without there being a financial recovery benefit for the property. According to the local bylaws a property requires 1000l of rainwater attenuation or soak-pit for every 40 square meters of hard surface on the property. You require to install 1667l of rainwater harvesting storage for every 40sqm meters of hard surface are on the property. All rainwater is diverted to an underground header pipe which would flow to an small underground (1000 to 2000 liter water tank). Prior to the water flowing to the tank we would install a WISY primary rainwater filter. 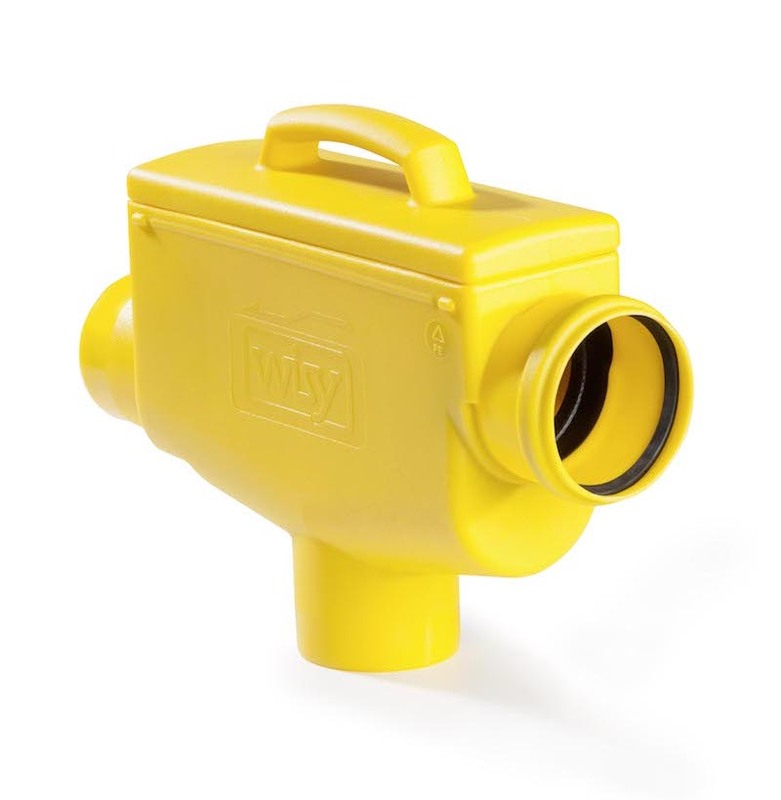 This unit is self cleaning and removes any particle or organic material greater than 250 microns from the rainwater before diverting the cleaned water to the underground rainwater recovery tank. 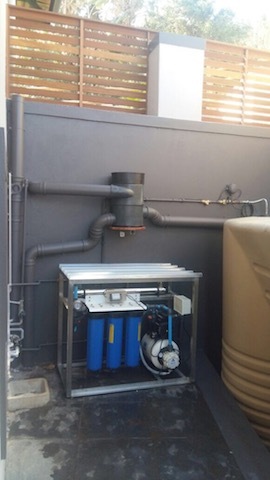 In the underground rainwater tank we install an automatic pump that will then pump the water to an above ground storage tank where it can be used by the property. The underground rainwater tank is also connected to a small soak pit tank. The soak pit is a perforated underground water tank installed in a layer of stone wrapped in a geotech membrane. This design ensure effective absorption of water into the surrounding soil without blocking the tank perforations. The small manhole covers at the top of each tank allows for inspection and cleaning. Our company recently installed a small system at a house in Glen Ashley and we have include a few photos of what it looks like.